Primary elections for the three vacant seats on Pennsylvania’s Supreme Court will take place next month. The unprecedented race features 12 candidates who have collected close to $3 million according to campaign finance reports. 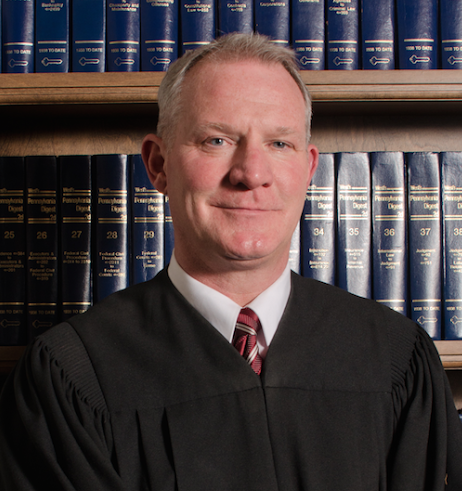 Leading the pack, Philadelphia Common Pleas Court Judge Kevin Dougherty has garnered $707,931 through March with more than half coming from labor groups including at least $302,000 from just one union – the International Brotherhood of Electrical Workers. The local chapter of IBEW is led by the judge’s older brother John “Johnny Doc” Dougherty who is known to be influential in city politics. He said money would not affect his job performance. With two of the three vacancies on the court coming from political scandal – a felony conviction of former Justice Joan Orie Melvin and the retirement to end an inquiry into his e-mails for Justice Seamus McCaffery – ethics are currently considered a top priority in filling out the seven-member court. “The general election, or whoever wins the primary, will be an entirely different election with a different kind of profile, including almost certainly a national profile,” said David Wecht, a Superior Court Judge from Allegheny County who is running for the Supreme Court. Hope Pa. does not vote for kevin dougherty. With the finicial support he is getting how can he be impartial. And exploiting veterans to get votes is not nice. Veterans court is far from his creation. David Wecht has no idea what he is talking about. His strongest credential is the family name. Voting for Woodruff and Donohue. Kevin Dougherty is a nice man. He has the right political last name and a huge campaign war chest. Saying that Judge Dougherty’s has always been a Family Court Judge. With the challenges facing the State Supreme Court I do not believe at this time he has enough experience on all issues that come before the Court to be elected to the State Supreme Court. Probably the least surprising headline of the cycle thus far. This election could flip Pennsylvania to a Democratic Supreme court majority. It’s two R’s, two D’s and whoever wins the three open seats. One of those open seats is Justice Stevens (R). A Dem sweep could put the court at 5D 2R. If Stevens is retained (he was appointed by Corbett two years ago), we could still have 4D 3R. Or the Dems could get crushed and PA gets stuck with 5R 2D or 4R 3D. With issues like discrimination coming to the forefront, and Republican desire to suppress minority voters on the backburner, as well as big questions about constitutional protections for the environment, the make-up of the PA Supreme Court could well be national news. A national profile. What the heck is Wecht talking about now, by golly?